People are shampooing their hair less often during a week, often because they have heard that shampooing daily is bad for their hair. The advice may have been from a magazine or Blog, from a friend, or even from a hair stylist. One common reason often given for why individuals are not shampooing every day is because it will cause hair loss. The truth is that shampooing with the proper product every day does not cause hair loss. Cleansing the scalp and hair daily with a shampoo that has a mild cleanser is recommended by our trichologists because it has benefits for your hair and scalp. We lose an average of 80 to 100 hairs daily in healthy hair shedding, but those hairs are not gone. Our hairs are constantly being regenerated in a cycle of growth, rest, and eventual fall out. You may notice the shedding most when brushing your hair or after washing your hair. This is because when a hair releases from the scalp it is usually held in place by other hairs as well as any styling product in the hair – almost like Velcro. Shampooing your hair daily helps hairs that have shed to be released so that new hairs can replace them. Individuals that shampoo only once or twice a week may see a more alarming amount of hairs shed when they wash their hair. Once shampooing is done daily what may have seemed like an extreme amount of shedding can subside into a healthy range of around 80 to 100 hairs shed daily. Cleansing our hair and scalp daily is necessary to remove dirt, oils, and product build up, while helping create a healthy environment for hair to continue to grow in. There are so many different shampoo options available to choose from that it’s hard to know which to use. 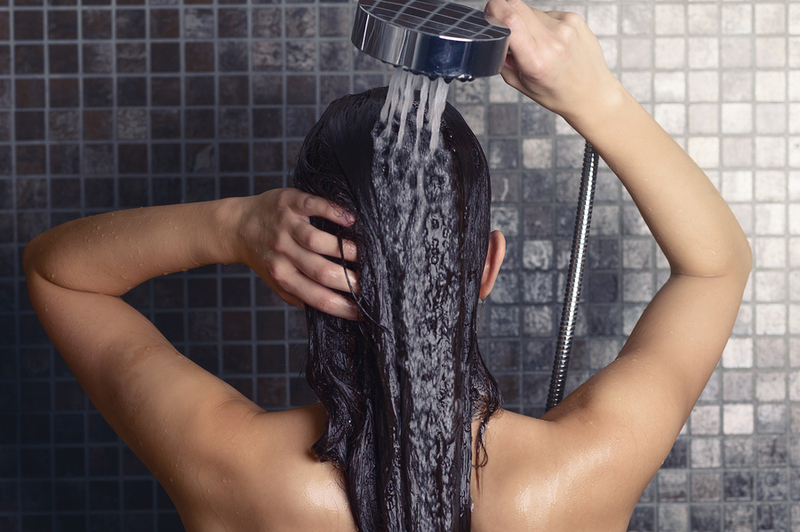 Not all shampoos are created equal. It is important to make sure the shampoo you are using is suited for daily use, as well as your hair and scalps’ individual needs. Is Your Shampoo Right for You? Another all too common reason given for not shampooing daily is that it makes hair too dry. If you are like most individuals, you look for a solution at the hair level when you recognize a problem like dryness. Dryness in the hair is sometimes a sign that the shampoo being used contains a cleanser or detergent that is too strong for the scalp. Continuing to use a shampoo with too harsh of a detergent can strip the scalp and hair of its’ healthy oils, which can create a drying effect to hair and scalp eventually leading to problems. Alternatively, shampoo that contains very little to no cleansing ingredients does not effectively cleansing the scalp and hair of oils, dirt, and product buildup. Over time not properly cleansing oil from the scalp and hair can cause excessive hair shedding, oily dandruff, and even oily hair loss. A balanced level of oil on the hair and scalp is ideal to help maintain moisture, add shine and protect against bacteria overproduction. Your scalp is the missing link to healthy hair. It is of equal, if not of greater importance, to take care of your scalp and hair by shampooing daily with the proper product. Shampoos suited for daily use have a mild cleanser designed to effectively cleanse the hair and scalp, while maintaining a balance of oil and hydration to create a healthy environment for hair to grow. If you are unsure if you are using the proper products for your hair and scalp or are suffer from dandruff, excessive scalp itch, hair loss or thinning and oily hair, you’re not alone. Don’t self-diagnose your own hair and scalp problems. 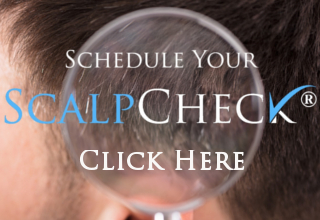 Our exclusive ScalpCheck, gives you an in-depth analysis designed, to help determine the health of your hair and scalp. This allows us to customize a hair and scalp care protocol based on your specific needs. Ultimately, reducing or preventing hair and scalp problems before they start and helping you maintain beautiful, healthy hair and scalp.